Console war loyalties are always likely to spark a heated debate and the 32-bit and 64-bit generation were no exception. This generation’s loyalties often are determined by a gamer’s personal preferences of game styles and franchises, but this time we will be attempting to share an unbiased analysis of the technical abilities of the Sony PlayStation in relation to its primary competition and how effectively game developers were able to utilize it. The Sega Saturn and the Nintendo 64 both had certain advantages over Sony’s PlayStation hardware, but Sony managed to find the perfect sweet spot of affordable and developer-friendly hardware that was capable of doing the essential tasks that a 3D-friendly 32-bit hardware should be able to handle. This precise strike of both technical execution and industry timing was essential to Sony catching both gaming giants off guard. “Saturn was nuts” is referring to the Saturn’s dual CPUs and quadrilateral-based 3D rendering method. This was In 1994 when dual core CPUs were unheard of and no consumer equipment had dual processors — only high-end Pentium Pro servers/workstations and supercomputers. To maximize the Saturn’s hardware required juggling at least 4 processors. You can read more discussion of Carmack’s comments at Kotaku. Featured the Geometry Transformation Engine, which would allow it to process on average 360,000 flat-shaded polygons per second, and 180,000 texture mapped and light-sourced polygons per second. Sega was famously caught off-guard by Sony’s ambition in 3D processing and had to add in extra power to it’s Saturn hardware in the middle of development, which caused many of the developer challenges we will get into below. 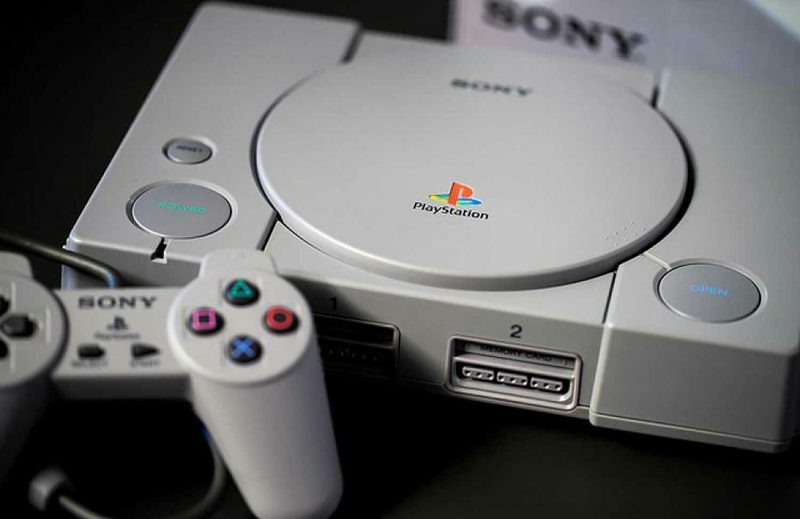 The PS1’s straightforward hardware architecture, triangle polygons, and more effective development tools and C language support, made it easier for developers to program 3D graphics. Both the Sega Saturn and the Nintendo 64 were significantly more challenging to develop cutting edge software for. 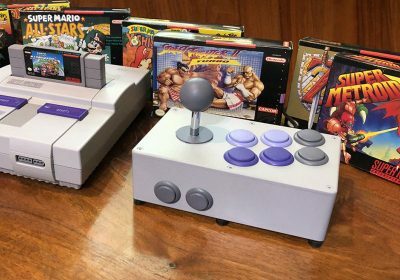 The development firms closest to Nintendo and Sega were the only ones that were really able to get close to harnessing the true power of those consoles. Contrary to popular belief, the technical gulf between the Saturn and the PlayStation wasn’t especially large. 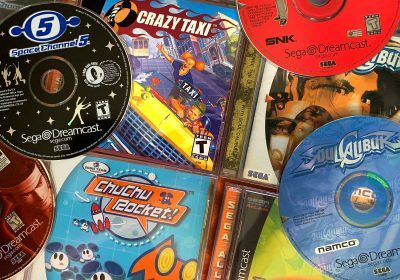 The Saturn was a powerhouse, but most developers were scared away by the complexity and those that knew the hardware well weren’t given enough time with the machine before Sega moved onto the Dreamcast. Unlike the PlayStation, which saw great performance with C programming, the Saturn required Assembly for peak performance. PlayStation’s triangle polygons (most later systems also used triangles) were also easier to develop for and more efficient to compute than the Saturn’s quadratic surfaces. Nvidia’s first chip, the NV1 was the only other early major player to exclusively use quadratic surfaces. NEC’s PowerVR chips supported quadrilateral rendering modes in addition to triangles for the first two generations. The Saturn does support transparency, but interactions between the VDP1 and VDP2 and the combined frame buffer create complications and reduce performance dramatically. Most developers had to either resort to dithering or scale back their ambitions for transparencies. PlayStation is more flexible for developers, with more blend modes and freedom in what to blend together. On PS1 you could have massive screen filling transparencies and various blending modes everywhere, rich framebuffer effects (like in Metal Gear Solid), etc., in both 2D and 3D modes. For the Saturn it was prohibitively difficult to do textured polygon transparency, resulting in almost exclusively dithered polygons. Most of the third party developers and publishers were eager to help Sony create an impressive PlayStation game library as they made their jobs relatively easy. This was incredibly crucial for Sony’s timing to break into the console business. 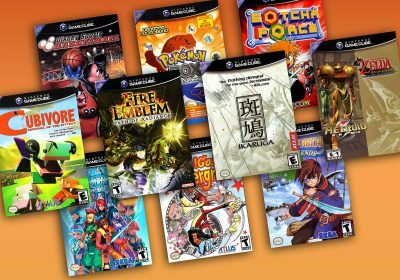 They ended up grabbing strong support from Squaresoft (Final Fantasy series and many other RPGs and cutting edge titles) and Konami (Metal Gear Solid, Silent Hill, Gradius, Contra, Suikoden, etc) among others. See our guide to the Games That Defined the Playstation for many more examples. Between 1994 to 1998 PS1 games generally have better visual effects than Saturn titles, because pulling off transparencies is extremely difficult on Saturn and few games attempt it, while on PS1 they are commonly used for explosion and lighting effects. This makes a difference in games like Wipeout; otherwise the Saturn’s Wipeout looks only slightly worse than the PS1 (you have to look closely to see the differences, and they’re not all in the PS1’s favor), but the effects are disappointing in comparison (here’s a nice comparison video for Wipeout). If you look at later PS1 games (especially post Final Fantasy VIII), the software advantage in 3D games is more clear and could be argued as being beyond the capabilities of the Saturn. Sega’s Panzer Dragoon Saga’s had some beautiful on-foot areas, but they don’t compare to the software craft of games like Square’s Threads of Fate (a good example of the kind of character modeling the Saturn has problems with). Textures applied to shapes enhanced the realistic look that many PlayStation games were striving for. While the Saturn held up to the PlayStation relatively well, the N64 was greatly limited resulting in more of a cartoon style. The PlayStation conquered both the Saturn and the N64 on the texture front, but in different ways. At a glance, the Saturn’s 1.5MB of video memory exceeds the PlayStation’s 1MB, but the Saturn’s video memory is segmented and has a smaller limit for textures. On the Saturn developers have 512KB for textures and display lists, 512KB for the frame buffer and 512KB for the 2D background CPU. 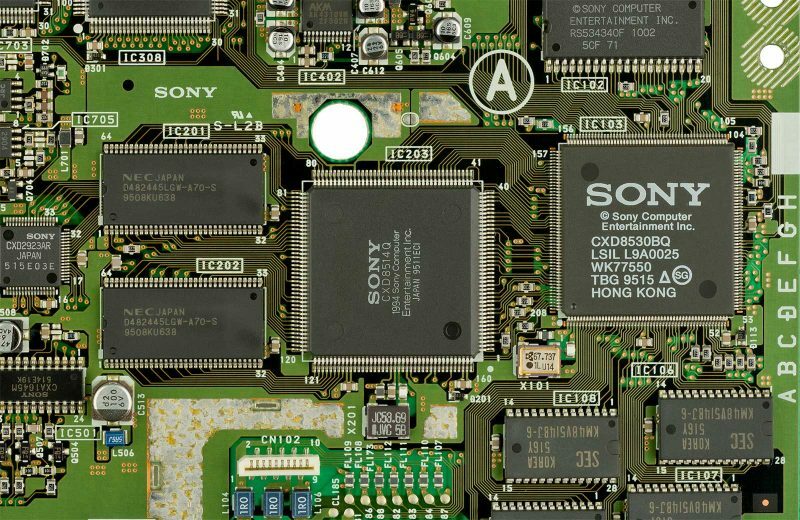 The PlayStation, however had a more variable setup for its video memory and developers typically had about 700KB usable memory for textures. As if the 512K of Saturn textures wasn’t limited enough, the PlayStation completely dwarfed N64’s 4kb of texture. This meant that the N64 developers often had to either use small textures across a surface or resort to Gouraud shading of polygons instead of proper textures. Many N64 games (Mario 64 being an example) used Gouraud shading heavily to make up for a lack of texturing. This contributed to the cartoony look of many N64 titles as opposed to a more realistic look of competing PlayStation games. Many critics of the N64 style will refer to the graphics as being “blurry” or a “Vaseline filter”. One could argue that this helped the N64’s graphic seem less pixelated. Developers like Rare were able to be more careful with the texture layering to work miracles with games like Banjo Kazooie. Banjo Kazooie was texture mapped, filtered, and had perspective correction/z-buffering. The Saturn had a lack of 3D backgrounds in 3D fighters and reduced frame rate for those that did have something other than a flat area. Watch out for the walls! In many Saturn games when an object or big wall gets too close to the camera there are slowdowns. That’s because the bigger the quad is, the more expensive it is to render. Flexibility is important to character modeling. Character modeling and animation evolved a lot during the 32-bit generation: it began with models composed of separate limbs and evolved to deformable continuous models. The Saturn was perfect for the former but ill-suited for the latter due to the quads not supporting per-vertex texture coordinates and the visual artifacts caused by non-coplanar quads. While Castlevania Symphony of the Night could have been an excellent 2D Saturn game, limited investment of resources on Konami’s part made Symphony of the Night a rare 2D win for the Playstation. The PlayStation’s 2D mode displayed sprites as always front-facing polygons (so it could calculate positioning quickly). Konami simply didn’t deem it worth the investment to reprogram their fully 3D tile engine to the Saturn’s unique architecture. As a result, the Saturn struggles to display a 2D game, effectively rendered fully in 3D and thus plagued by slowdowns. It’s not really the Saturn hardware’s fault other than the difficulty of porting 2D work efficiently between systems. But it is a testament to the Playstation’s ability to do 2D. 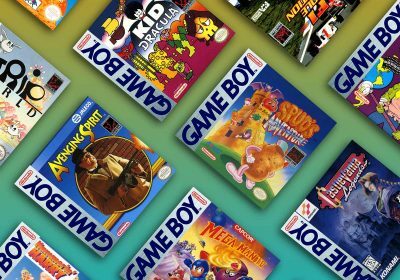 While the Nintendo 64 did have more advanced processor capabilities and the advantage of quicker load times for their cartridge format, they did give up the large storage capacity of the CD format that limited them on audio, graphic and video storage. The PlayStation also had dedicated sound and video chips for CD quality audio and hardware level H.261 decoding, which allowed for their full use in games with low system overhead. Even though the N64 had some muscle to technically do better things, the PlayStation had a stronger lineup that made the best use of its hardware. It’s very possible that, in the right hands, the N64 could have had superior ports of certain PlayStation favorites that didn’t rely on textures or CD audio/video. But overall, the PS1 and N64 had very different setups and development strategies, so they are one of the most difficult console peers to compare. Since many PlayStation (and Saturn) games focused on smaller, less ambitious environments, they were able to run at much higher frame rates than the larger-world games of the N64. Many developers sacrificed frame rate to be more ambitious elsewhere. There other other N64 games that focus more on improving frame rate, however. The best entries in the PlayStation library (including the 2D gems) tend to hold up better decades later than the N64, but it’s worst game examples can also hold up very poorly. Some advanced 3D games targeted a high frame-rate with simple, yet clean, visuals. Namco excelled with the likes Tekken 3 or Klonoa, which are fast and clean while minimizing the system’s weaknesses. Games like Layer Section running at 60 fps at a higher resolution are also beautiful. These types of games hold up better than most N64 games just due to their simple, refined visual styles and fast performance. Some of the technical deficiencies in PlayStation games can be corrected in an emulator with benefits such texture perspective correction and better resolution. Games like Tekken 3 and Crash Bandicoot can look great in 1080p. Two decades later, the PlayStation is much easier to emulate accurately than both the Sega Saturn and the Nintendo 64. Similar to how the system complexity made things challenging for game developers, it also complicates what coding is necessary to effectively emulate the hardware. 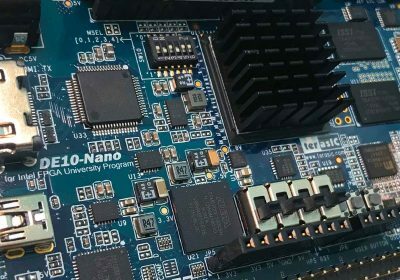 While the N64 isn’t as complex to emulate as the Sega Saturn, it does have a higher CPU requirement so it requires higher-powered hardware to run an emulator. The PlayStation emulator community also had a good head-start on enhancing the emulation experience, but the N64 community has been working on enhancing games with texture packs. The PlayStation processors were tuned for fast math, but at the sacrifice of mathematical accuracy (fixed point vs floating point). This sacrifice resulted in in geometry and textures that wiggled, jumped, warped, or had seams between them. These mathematical rounding sacrifices sometimes gave the appearance of snapping to grid lines instead of transitioning smoothly to new location (often referred to as “polygon jitter”). As much as the PS1 had an advantage in texture storage, it lacked the ability to correct the perspective of those textures (due to the use of fine texture mapping and linear approximation). This caused an issue known as “texture warping” which could be easily seen when looking at a “straight” line on a texture that wasn’t straight. This is most noticeable on floors and racing games seem suffer from it often. The effect isn’t as noticeable on a lower-resolution TVs, but stands out more on modern TVs and computer displays. Since the PlayStation was designed with 3D graphics as a focus, Sony did not build dedicated hardware or software routines for 2D graphics. The result was that developers wanting to work with 2D games had to save their sprites as multiple polygon textures. This gave the Saturn the advantage on pure 2D pixel pushing when the coders excelled at native Saturn code. The Saturn’s VDP1 sprite framebuffer and VDP2 parallax scrolling backgrounds made it both more powerful and straightforward to program 2D graphics, compared to the PS1 which draws all 2D graphics to a single framebuffer. Thanks to sprite priorities, the Saturn also has an easier time maintaining 60 FPS, and it could on top of that effectively have “two resolutions”, i.e. a high res background and a low res foreground, saving some on memory that way. The PS1 received ports of many of the same Capcom and SNK games, but they typically had fewer frames of animation. In the case of X-Men vs Street Fighter, the trademark tag team element was removed from the PS1 version. That isn’t to say that the Playstation didn’t have any good 2D games. Castlevania: Symphony of the Night is one of the best and highly-appreciated examples. The N64 could handle much bigger 3D worlds with large draw distances (although Turok was known for short draw distance) and solid boundaries (walls actually looked and behaved as walls). The PS1 still had the edge on texturing and developer ease, so the PlayStation still excelled in a lot of other ways. The PlayStation vs the N64 is not an apples-to-apples comparison. Gouraud shading is a method of making polygonal graphics appear smoother and simulate the differing effects of light and color across the surface of an object. This effect can be applied to low-polygon surfaces without the heavy computational requirements of calculating lighting for each pixel. Unfortunately, the original release of the PlayStation’s GPU’s multiplicative Gouraud shading displayed far fewer shades than the Saturn, resulting in color banding, but had more intense white light. This was partially to blame on the PlayStation’s video memory, which was slower, lower bandwidth, and higher latency than that of the Sega Saturn. A PlayStation hardware revision that hit Japan in 1995, North America in 1996, and the rest of the world in 1997 had lower latency in the video memory, resulting in faster transparency blending and improved Gouraud shading (from 5-bit to 8-bit Gouraud shading, but still inferior to the Saturn’s 15-bit shading). Z-buffering, also known as depth buffering, is a technique in computer graphics programming that is used to determine whether an object (or part of an object) is visible in a scene. It can be implemented either in hardware or software, and is used to increase rendering efficiency. The N64 had a Z-Buffer, giving developers the ability to design the terrain and deep visuals that the PlayStation couldn’t match and was a huge advantage for Nintendo at the time. The developers of Crash Bandicoot (which came out on the PS1 at the same time as the N64) had to use over an hour of pre-computation distributed across a dozen SGI workstations for each level to get a high polygon count on hardware lacking a Z-buffer. The PC version of Metal Gear Solid Integral improved the visuals and reduced jitteriness with a software Z-Buffer/adding sub-pixel accuracy, but still had some polygon sorting issues (check this video clip). The PlayStation (or the Saturn for that matter) did not have hardware Z-Buffering which meant that everything is drawn using the “painter’s algorithm” that stipulates you have to draw every poly from back-to-front within the scene. Crash Bandicoot 2 and 3 implemented software Z-buffers in special areas, but the games still suffers from the drawing issues. Debating console strengths and weaknesses can easily spark debates and I don’t claim to know everything. If you have something constructive to add, I would love to hear your opinion. And while I did spend a lot of time in research and compared notes with other enthusiasts and experts, I may have missed something. I look forward to improving and revising this guide, so please share what insights you have on the topic. Thank you! What an awesome write-up of the technical aspects of these consoles. I had no idea that the Saturn rendered in quadratics, and even when playing it I always noticed slowdown on some of their full 3D games. Whereas I don’t recall many PlayStation games that caused a ton of slowdown. It was really easy to read through this without much technical expertise. It’s a really cool retrospective! You forgot to mention that the PS1 used 16bit colour depth resulting in a grainy dithered image which is quite noticable when using 240p Scart and emulators. Although it has been mentioned these limitations have been overcome by emulators. Overall when I use the PS1 I choose to use composite which is the cable that is supplied with the console you can’t see the dithering at all. Great article as always! As a kid I was fooled by the N64’s smoother looking graphics and clean lines, but going back now you can really see how fitting the choices Sony made really were. 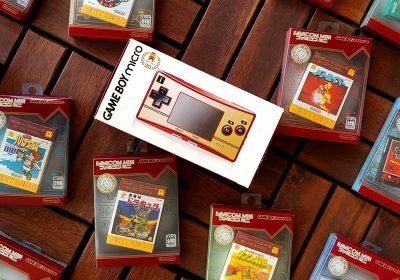 They put just enough horsepower in the system combined with the right blend of tech to make the console a developers dream and a gamers best choice of the era. A really great read. A shame the Saturn required so much more effort on the 3D side of things. The Shenmue Saturn footage still blows me away. Yeah, I was on a bit of a hiatus, but I’m back at it in full swing. Thanks for the support! Great article. I always want to know more specifics about 5th gen hardware. Specifically what could be or is the highest level possible of a fully 3-D realistic looking world, that could be created on each of those platforms. Although racing, fighting & flying could be realistic, my interest is in a full 3-d worlds not limited to a race track, fighting ring or the sky. As another poster already said the unreleased Shenmue on the Saturn is really mind blowing, oh what could of been. It seems to me from the games the I know, The World is Not Enough on the N64 was the highest level of 5th gen consoles of a fully 3-d realistic world. I guess we may never know for sure but we can guess based upon the performance of know hardware pushers. It would be nice to see someone make a video explaining in theory and real world examples of games released which consoles could do what the best and what could of possible been done better in that gen. Visuals help with understanding visuals.